You can download Dr. Dave Martin’s five-day Bible Plan on the YouVersion Bible app. Get the free Bible app for your phone or tablet by clicking on the button below. How can you have a successful, fulfilled life? You must have successful years and before that, thriving months made up of winning weeks. Ultimately, the way to have a wonderful life is to have fulfilled days. How do you have those days? Three words – SEIZE THE DAY! 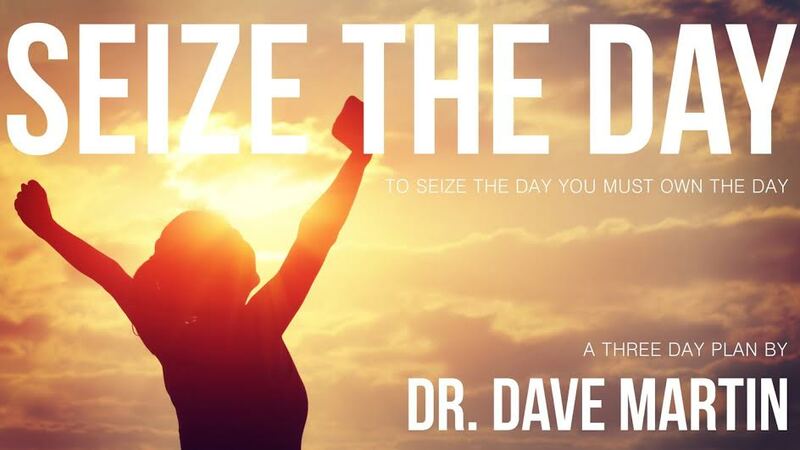 Dr. Dave Martin’s new three-day plan provides three ways to own your day and gives practical tips to build a successful, fulfilled life. You can download Dr. Dave’s featured Bible Plan on the YouVersion Bible app.